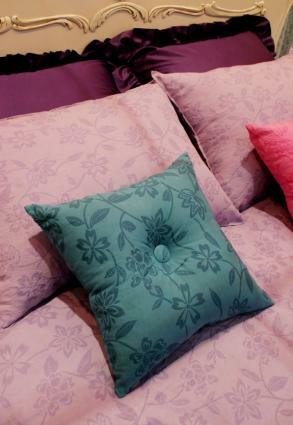 As your teenage daughter is getting older, she may be ready to move up from her childhood bed to a more adult version. Whether she has simply outgrown her twin bed and is in need of an upgrade, or she simply needs a new bed to complete her new bedroom design, there are plenty of options available in beds for teen girls. Whether you have a specific style or budget in mind, there are plenty of places to shop for beds aimed at teenagers. Keep in mind as you shop that your daughter will be growing up and moving out in just a few short years. Consider whether this bed will be moving with her or staying behind for guests when she goes and make your selection accordingly. 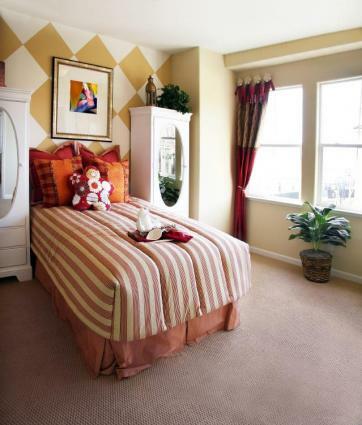 No matter the style of the room or your teenage girl's taste, there are numerous styles of bed that are suitable. If your teenager is a Romantic at heart and has a love for the dramatic that is showcased in her room, consider a canopy style bed. Canopies come in a wide range of colors from white to dramatic shades of purple or green. They can be light and gauzy, with just some fabric angling back toward the headboard or they can be more enclosing with a panel stretching above the bed and attached to four posts. 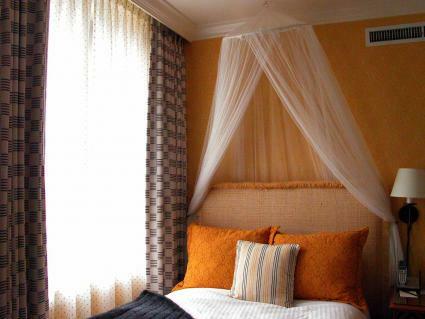 Canopy beds are not cheap - expect to pay from $1,000 to $1500 for a good quality bed - but they can last for years. For Cottage style homes and a traditional girl's room décor, consider a wicker or rattan bed. Wicker can be painted any color to coordinate with the rest of the décor and makes a wonderful bedroom furniture set when combined with vanity, dresser and chair. Wicker bed prices start around $600. If your teenager frequently entertains or has a room that is short on space, bunk and loft beds are a great idea. Bunk beds instantly double the sleeping area in the room without taking up more foot space. Loft beds give you the ability to house furniture such as a desk or dresser beneath the bed and can come with additional storage as well. This allows your teen to make the most of a small space, while still being able to have a larger bed. Bunk and loft beds come in a range of sizes and prices starting around $500 and going up from there. If your daughter is a reader, a collector or a clothes horse, consider investing in a storage bed. Storage beds have built in shelving, cabinets and storage that surrounds the head of the bed and goes beneath it. It can instantly help declutter a room with a small closet or one without a lot of storage space. Expect to pay from around $400 for a simple, under the bed model to around $2,000 for a more built-in unit. If your teenager is into the sleek and contemporary looks of modern furnishings, consider purchasing her a platform bed. Built low to the ground without a box spring, platform beds are contemporary and come in a wide range of styles and materials. Platform beds can also cost less, with good quality beds starting around $300. Once you've settled on a style, take into consideration the size of the bed, how it fits in with the rest of the room's décor and how much use it will get. Many teenagers begin to outgrow twin sized beds, and if the mattress has been in use for 10 or more years, it's time to replace it. Consider moving up to a full or queen sized bed if the room can handle the space and let your teen stretch out in comfort. Remember to involve your teenager in the bed selection process. While you may want to narrow down the choices by size or budget, let her have a say in the style. After all, she may want to take the bed with her when she moves away to college in a just a few short years.